Despite its runaway growth, Android (s goog) is still trailing iOS’ (s aapl) larger ecosystem when you count the installed base of iPhones, iPads and iPod touches, according to recent figures from comScore. But the rise of cheap ebook readers turned tablets from Barnes & Noble (s bks) and possibly Amazon(s amzn), could help Google close that gap by serving a role similar to the iPod touch in the iOS ecosystem. That’s not to say that the updated Nook Color or a possible Amazon Kindle tablet built on Android would resemble the pocketable iPod touch media player or its newest Android competitor, the Galaxy Player. But it could fill a similar purpose, bringing in new cost-conscious tablet consumers while expanding the addressable market for developers, which can make the whole Android platform more attractive. The iPod touch has quietly been a sales success for Apple and we’re only now realizing its full impact. According to new figures released as part of its patent case against Samsung, Apple said as of last month, it has sold 60 million iPod touches, compared to 108 million iPhones and 19 million iPads. That has helped iOS build an attractive, multidevice ecosystem that developers can leverage. ComScore said the installed base of iOS devices in the U.S. is 37.9 million devices, compared to 23.8 million for Android, with iPhones slightly ahead of iPod Touches, and both of those about twice that of iPads. This data shows that the iPod touch has been a key ingredient in the overall success of iOS, which has translated to widespread developer support. Now Apple has done much to make developing for iOS painless and lucrative. But the numbers certainly helped in ensuring that support for the platform was paramount. Sales figures have helped the iPad as well, with developers creating more than 65,000 iPad specific apps. Android will certainly gain traction with developers and it’s clearly the No. 2 platform. But it could use the help of cheaper tablets in building an installed base and encouraging developers to build tablet-specific apps. It’s not enough to have a lot of apps that work well on phones. The platform needs apps that shine on tablets too. The $250 Nook Color is underpowered by Android tablet standards but it offers a lot of great features and has some respectable content like Angry Birds and Pandora through its newly opened Nook App store. Amazon’s tablet is still a rumor but the speculation is that the company could create a simple cheap Android-based tablet that could serve as a showcase for its books, video, and music as well as apps from its Amazon App Store. If Amazon keeps costs down, or offers an ad-supported model like it’s doing with the Kindle, it could offer an Android tablet at under $300, well under the competition, including Apple. That would be important. There will no doubt be other cheap tablets but having a solid competitor from reputable names like Amazon and Barnes & Noble can convince people these devices are worth the look and the money. That could be a gateway for Android on the tablet, which so far has gotten off to a rough start. The perception seems to be that many of the early tablets don’t provide enough value at the price they’re going for. But if they’re priced well under $300, it could draw in a lot of people interested in tablets, who can’t spring for Apple’s $499 iPad price tag. The iPod touch sold for about the same price as an iPhone but it didn’t come with a two-year commitment, which made it a much cheaper option for users. That was a big help in getting people into the iOS community. Developers building apps for these devices will likely sell them first on Amazon’s Appstore and the Nook App store but it’s a no-brainer to also offer them in Android Market. It will mean more work for developers. But again, it helps build up the number of tablet apps in Android Market, negating some of the edge of the iPad. Many assume that Android tablets will overtake the iPad regardless, though I’m not so sure its ascent will be as easy, or as quickly, as it was on smartphones. Android benefited from strong carrier partnerships but they don’t matter as much in the tablet space. Apple is also competing heavily on price and seems to be a product cycle ahead of its competitors. Gartner is forecasting that Apple will still have 47.1 percent of the tablet market by 2015 ahead of Android at 38.6 percent. That’s a number of years off so I’m not comfortable predicting if those numbers will play out accordingly. But it’s clear that Android has some catching up to do in the tablet market. That’s where these cheap tablets could play a difference. 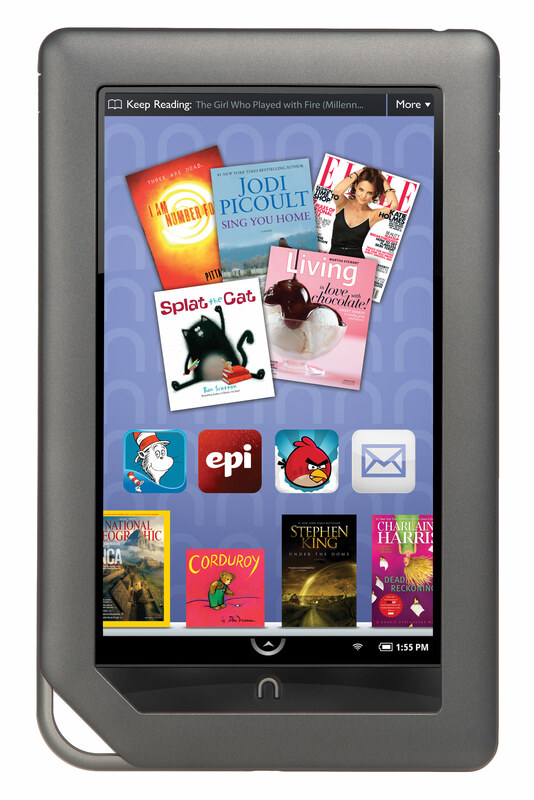 Just like the Apple is still riding high with help of its iPod Touch, the Nook Color and Amazon tablet could be the secret weapon to help even the odds in the tablet space. Sorry. This just seems unlikely. Android needs to do something iOS doesn’t. Apple never has (and never will) have the same market dominance as Microsoft in terms of their OS’s sales in the business and home sectors, but they didn’t become a larger company overnight, nor did they do so by playing catch-up. Apple has dominance of the tablet market now because it innovated and effectively created it single-handedly. Android needs to innovate itself separately from iOS, and not depend on bargain-bin hardware to accomplish it. There has to be a business model. Tablets cost $250 to build, so a cheap tablet needs an ancillary business model to drive revenue and profit, like books(kindle) or games(wii). I frequently write about legal technology, and recently compared the iPad with a Windows-based tablet, HP’s new Slate 500. I really wonder if the Android is going to surpass the iPad craze, at least in the law/business sector. From what I’ve seen, it looks good, but still requires the accumulation of a bunch of apps. Since when has Apple sold a tablet for “well under $300”??? Will tablet manufacturers be offering BOGO? I thought not.